NASA has ordered a second commercial crew ferry ship from SpaceX, NASA announced Friday, as the agency continues its on-going push to develop U.S.-built spacecraft to carry astronauts to and from the International Space Station, ending sole reliance on Russian Soyuz vehicles. Not counting planned test flights, Boeing was awarded contracts last year to build two post-certification CST-100 “Starliner” ferry ships and the second order for a SpaceX piloted Dragon capsule completes the minimum number guaranteed under NASA’s Commercial Crew Transportation Capability program. 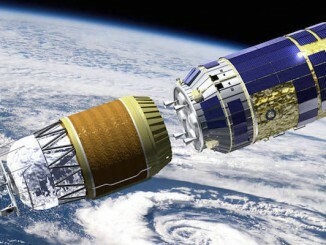 The current contracts include options for up to four additional spacecraft from each company. SpaceX, which already launches supplies and equipment to the station using unpiloted Dragon cargo ships, tentatively plans to launch its first Crew Dragon on an unpiloted test flight as early as May 2017, according to internal NASA schedules, with a piloted test flight to the space station a few months later. 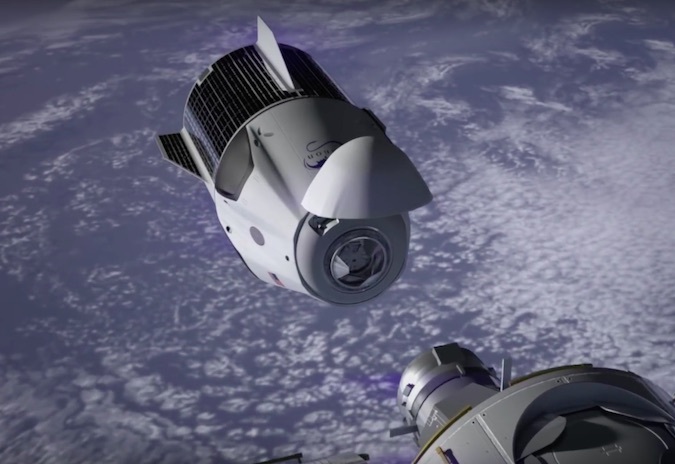 Boeing hopes to launch its CST-100 on an unpiloted test flight in December 2017 with the company’s first piloted test flight in February 2018. The CST-100 will be launched from pad 41 at the Cape Canaveral Air Force Station atop a United Launch Alliance Atlas 5 rocket. SpaceX will fire its Crew Dragon capsules into orbit atop the company’s Falcon 9 boosters using a retired shuttle pad, complex 39A, at the Kennedy Space Center. Assuming the test flights go well, NASA will be ready to press ahead with operational crew rotation missions using the four vehicles currently under contract. 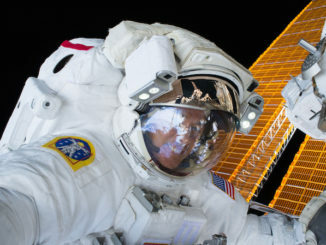 Since the space shuttle’s retirement in 2011, NASA and its international partners have relied on Russia to launch crews to the space station and return them to Earth at a cost of more than $80 million a seat under current contracts with Roscosmos, the Russian federal space agency. Up to this point, the station’s crew size has been limited by the number of astronauts and cosmonauts that can be carried up, three at a time, aboard Soyuz spacecraft. With two Soyuz vehicles docked at the station, a maximum of six crew members can be accommodated. The CST-100 and Crew Dragon will typically carry four-person crews to the lab complex, boosting overall crew size to seven, “which will significantly increase the amount of crew time to conduct research,” Julie Robinson, chief scientist for the station program, said in the statement. While the new U.S. spacecraft will end NASA’s sole reliance on Russia for transportation to and from the station, U.S.-sponsored astronauts will still fly aboard the Soyuz while cosmonauts will fly aboard the CST-100 and Crew Dragon. That will ensure that at least one crew member from NASA and one from Roscosmos will be on board the station in the event of an emergency of some sort that might force one ferry crew to depart. 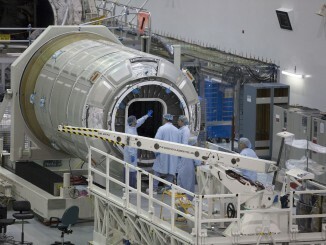 At least one crew member from NASA and one from Roscosmos is required to operate the station’s U.S. and Russian systems.